Following in the footsteps of other North Texas brewers like Armadillo Ale Works, Rabbit Hole and the Grapevine Craft Brewery, Garland-based Intrinsic Brewing is turning to crowdfunding to help get their project off the ground. Founders Cary and Molly Hodson have launched a campaign with CrowdBrewed, seeking to obtain pledges in the amount of $30,000 to offset both personal savings and money from outside investors. As to why they decided to pursue this as a funding option, they want to "give the community a chance to get involved and show their love of the craft." At the same time, should the campaign be successful, they look at it as a way to boost not only their confidence, but that of their investors as they move forward. Current plans are to open a brewpub offering both food and house-brewed beers at 509 W. State Street on the historic square in Downtown Garland. A circa 1910 brick building has been secured, which will have upwards of 6000 square feet to work with, depending on patio space. In it will be assembled a 7-barrel brewhouse designed for cost, quality and creative flexibility, something that should fit in with the couple's vision of brewing a perpetually rotating line of small-batch beers. Construction is slated to begin in February and take on the order of eight months. That translates to an anticipated opening date of October 2015. Once complete, the couple hopes to have created "an intimate local experience with a focus on in-house pint sales and growler fills." The family-owned operation aims to be an inherent part of their community, and the name Intrinsic is a reflection of those values. One imagines that's also the impetus for the appearance of roots in the company logo. In terms of experience, Cary recently completed the Brewery Immersion Course at the Colorado Boy Pub & Brewery, where he collaborated with the Echo Brewing Company. He's been homebrewing all-grain recipes since 2010, with his wife getting involved two years later when they wrote their first business plan. Both have judged local competitions while being active in the local homebrewing community, and in that spirit they'll produce pro-am beers once they get things up and running. As for what types of beers Cary sees in the brewpub's future, he says they both have an appreciation for traditional styles which will show up in things like a blonde ale, an American-style brown and an IPA. Beyond that, though, Intrinsic will work to "set itself apart by brewing experimental styles and maintaining a barrel-aging program." He'd like to do a braggot, a gruit and a raspberry gose, as well as something with smoked figs or a combination of ingredients like tamarind and jalapeños. His ambition even extends to sour beers and an experimental hop series. Those who attended Deep Ellum's annual Labor of Love Homebrew Competition earlier this year will remember that Intrinsic took home not only the Best in Show prize, but was also named Fan Favorite in addition to taking top honors in both the sour and spicy categories. As a result of their achievement, Deep Ellum will brew a single 30-barrel batch of Intrinsic's Basil Buzz, a honey basil hefeweizen, which should be ready in time for the 2015 competition next July. 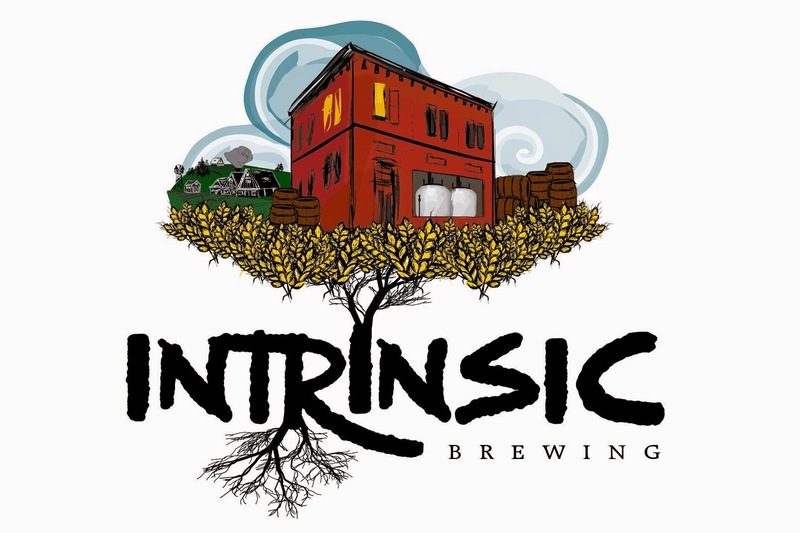 If you'd like to help them on their journey, Intrinsic's CrowdBrewed campaign is active now through December 7, and can be accessed directly by visiting the brewery's website at www.intrinsicbrewing.com. Rewards include logo merchandise, handmade furniture (built by Cary himself, and like that which will be used in the brewpub) and a lifetime supply of beer. Though, the couple's mission statement makes it clear they want what comes out of the brewpub to be a reward as well. As they put it, "Our mission is to serve our community by delivering products of distinction, creativity, flavor and intrinsic value. We believe all people should have access to quality craft beer made with the finest ingredients, care and inspiration." Follow Intrinsic on Facebook and Twitter.